Jumping on the "tax the rich" bandwagon, senator Bernie Sanders has proposed to expand the estate tax on wealthy Americans, including a rate of up to 77% on the value of estates above $1 billion. Sanders, who is considering a fresh run for president, said in a statement his plan would apply to the wealthiest 0.2% of Americans, with Bloomberg reporting that his proposal would set a 45% tax on the value of estates between $3.5 million and $10 million, increasing gradually to 77% for amounts more than $1 billion. The current estate tax kicks in when an estate is worth about $11 million. If enacted, the legislation would raise up to $2.2 trillion in estate taxes from the families of all 588 billionaires in the U.S. with a combined net worth of more than $3 trillion, according to a summary of the plan. Sanders’s plan comes as potential other challengers to President Trump eye progressive tax ideas intended to reduce income inequality. One such proposal comes from Senator Elizabeth Warren who is seeking an annual 2% tax on households worth more than $50 million. Sanders, who ran in the Democratic primaries against Hillary Clinton in 2016, hasn’t yet confirmed whether he’ll run in 2020. While the estate tax exemption was $3.5 million as recently as 2009, in 2017 the GOP tax overhaul increased the exemption to $11 million through 2025, and some Senate Republicans are renewing an effort to repeal the tax entirely. 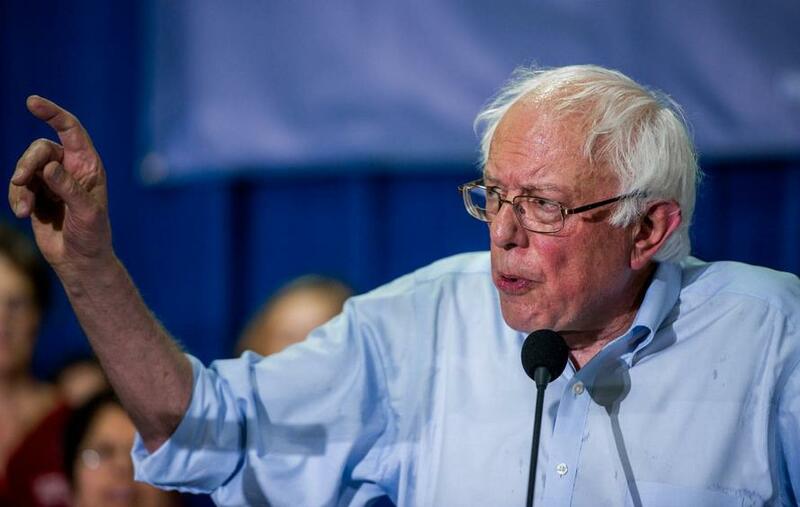 As Sanders and Warren are seeking to reduce income inequality by breaking up concentrations of wealth among top earners, other Democratic candidates are urging legislation toward the lowest income brackets. California Senator Kamala Harris, who launched her presidential campaign this week, introduced legislation this month to create a $3,000 refundable tax credit for low-income individuals. The bill includes non-binding language that proposes funding the tax credit by repealing parts of the 2018 Republican tax cut and assessing a fee on large financial institutions. Meanwhile, polls show that Americans are becoming more receptive to the idea of increasing taxes on the wealthy. After Democratic Socialist Alexandria Ocasio-Cortez floated a 70% top tax rate on incomes of $10 million or more, a recent poll found that a majority, or 59% of Americans would be in support of such a tax. Of course, boosting taxes on the rich is nothing new: bBack in 2012, when Europe's populist tensions were first emerging, France's socialist president Francois Hollande decided to harness the unhappiness of the proletariat (and distract from what would soon be one of the most disastrous presidencies in French history), and passed a 75% tax on earnings above €1 million as part of his election campaign. Worst of all, however, French finance ministry studies showed that despite all the publicity, the sums obtained from the supertax were meagre, standing at €260m in 2013 and €160m in 2014, and affecting 1,000 staff in 470 companies. Over the same period, the budget deficit soared to €84.7bn. And so, two years after it was introduced, on January 1, 2015 the French 75% tax quietly disappeared into the history books.